WVU Medicine surgeons, combined with our state-of-the-art surgical technologies, provide patients with some of the most advanced medical care available today. Many of WVU’s general surgeons are specialists in minimally invasive techniques that reduce pain, have less scarring, and shorten recovery time for patients. 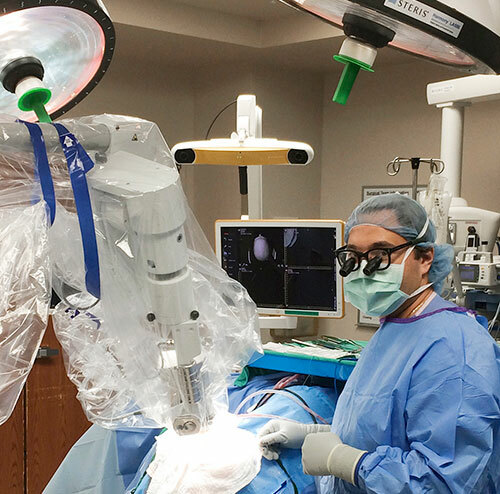 Advanced imaging systems, specialized instruments, and computer-guided surgical navigation systems help surgeons provide the latest and best in surgical care and the best possible outcomes for patients. On the map, click on the icon to display all locations. Click on a location for details. Once you select a location, click the directions icon. Google maps opens and allows you to enter your address for door-to-door directions. Click the view larger map icon to open directly to Google maps.